A Volumetric Survey is the comparison of the results of two or more topographical surveys conducted at different points in time. 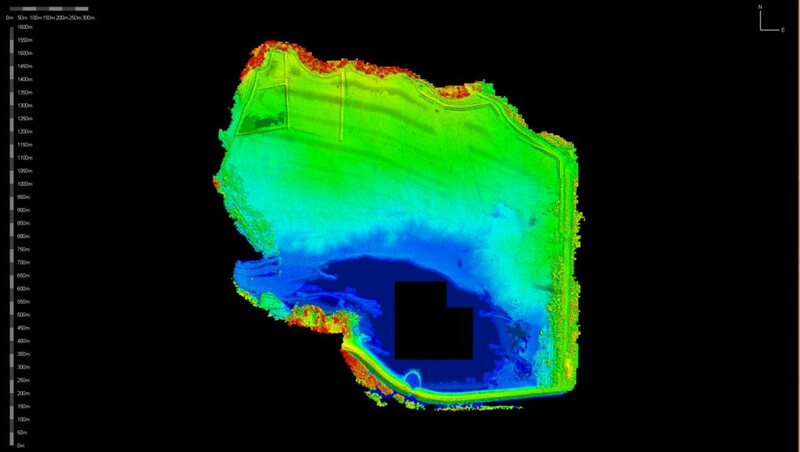 Typically, a UAV will scan a stockpile with lidar or MSI equipment, then software will calculate the volume of the scanned area, assuming that the area under the mass was flat to begin with. Many mine sites work to a capacity regime whereby the train that takes raw materials from the mine site to a nearby port for transport, will hold a certain amount. If the operation has less than the train capacity, they are wasting money on transport costs. Too much product and they’ve paid too high an extraction price as the product won’t be shipped. Hence volumetric surveys ensure the right level of production effort to match transport capability, through analysing and measuring the raw product stockpile. Outside of mining, large scale earthworks can also benefit from aerial volumetric surveys. In areas where land masses are either removed or added, the aerial option will provide comprehensive analysis and calculation of volumes – all without the need to pay for full size aircraft ferry fees from an airport. Speed and efficiency increase with UAV use. Data can be retrieved from a single file, as soon as the craft lands, to begin analysis. No waiting for aircraft to land at airports, or for surveyors to tally their measurements from ground level for an estimate.